Singing is amazing. It’s a universal language and has the power to make us smile or move us to tears. And those of us who sing with Rock Choir know better than most just how powerful a song can be. 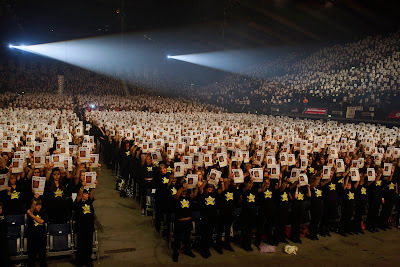 Almost 10,000 Rock Choir members, from all corners of Great Britain, gathered at Wembley Arena on Sunday 15 May for a mass sing, a gathering of like-minded choir members, thrilled to be performing at the UK’s premier music venue. Rock Choir members don’t just sing, however. We are passionate about supporting two amazing British charities: Refuge and Missing People. Four hundred of us sang at the recent Miles for Missing People 10k Run in Regent’s Park and met and heard from the suffering parents, friends and families of the missing. It verges on the impossible to imagine your child, sibling, friend or classmate going missing; seeing that empty chair at the dinner table, the abandoned desk in the classroom or the jacket gathering dust by the door. So perhaps it’s up to us, those that are lucky enough never to have experienced this kind of suffering to support those who have. Among all the high-adrenalin excitement and fun at Wembley we shared a quiet moment for Missing People. 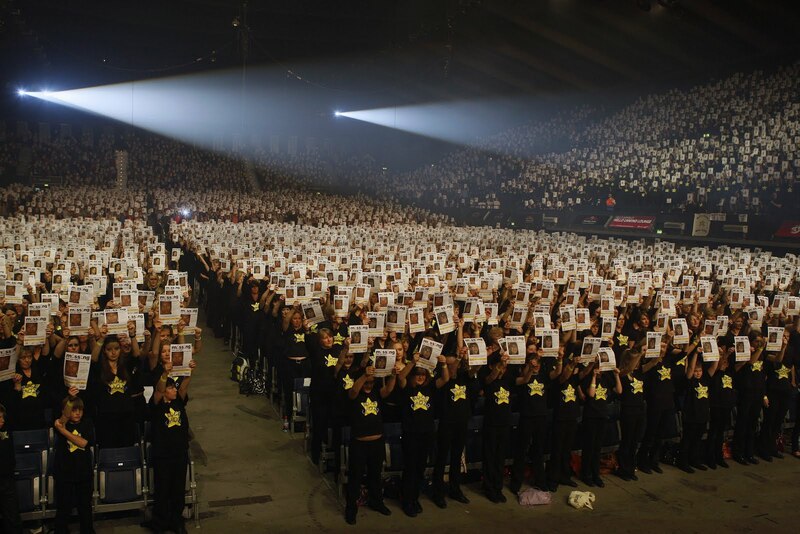 Posters featuring missing children were handed out to everyone in the Arena. Mine showed a schoolgirl smiling at the camera, a lock of brown hair escaping from her ponytail. The information on the poster explained that she was Carmel Fenech, sixteen years old, missing since 1998. With a jolt I realised that this pretty teenager would now be a grown woman, perhaps with children of her own. Other posters showed the familiar face of Madeleine McCann, another a curly-haired toddler and another a boy with a haircut you'd recognize as popular 5 years ago. As we held up our posters, silence fell over the huge crowd leaving us all with our own quiet thoughts. Perhaps we thought about our own families and vowed to hug our children tighter that evening, to tell our partners that we love them or to contact an old friend. With that thought in mind, the 25th of May marks International Missing Children’s Day and Missing People is urging Twitter enthusiasts to take part in “The Big Tweet for Missing Children.” The charity Missing People will be tweeting an appeal for a different missing child every 30 minutes for 24 hours on their official Twitter @missingpeople account. All you have to do to show your support is retweet one, some, or all of @missingpeople’s appeal tweets using the hash tag #IMCD as they go out. If you have a Twitter account you can join in over the 24 hour period and if you’re not on Twitter yet, think about setting up an account in time for the 25th. It’s fun and easy to do. Let’s make #IMCD trend! When I got home on Sunday evening the voices of thousands of voices in ringing in my ears and the memory of singing with special guests Debra Stephenson, The Soldiers and star of the Go Compare adverts, Wynne Evans, I found a crumpled poster at the bottom of my bag. A dark haired teenager smiles back at me and I’m reminded that there won’t be a homecoming for many of these missing youngsters. If singing can help to heal the wounds of those left behind in any way, then I’m proud to be a member of Rock Choir supporting Missing People. For more information about The Big Tweet for Missing Children, visit https://www.missingpeople.org.uk/thebigtweet. I heard your choir sing at the 'Miles for Missing People Run 2011'. You have chosen a very important charity - Missing People - to be your charity partner.